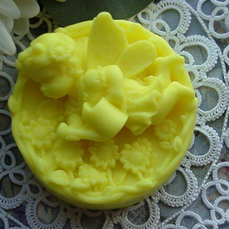 Positively heaven sent, and you'll soon be singing the praises of this wonderful soap. As we all fill our days with more and more duties and projects, taking little or no time to relax, our worries and stress levels become unbearable. Get instant relief with this superbly balanced, calming blend of Lavender and Sage, touched with a hint of Peppermint and Star Anise. A lovely, soft scent that quiets the mind and invigorates the spirit.